We are 106,000+ car owners sharing real-world car information. 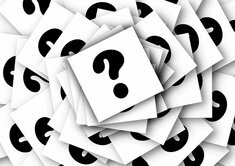 Sign in or join TrueDelta to post your own thoughts. Luxury cars are very tough to find a reliable model. Lexus overall is the best way to go if reliablity is driving your decision. The German brands as a whole don't do as well. Generally speaking, they have electrical issues after a few years. Some Audi's are about average reliablity so they seem to be the best from that country. Genesis from Hyundai is not bad either. They handle fairly well (as good as Lexus and in some cases better) but they are small but growing as a brand. Think Lexus when it started out over 20 years ago. They are adding a third sedan to the lineup this year (the G70) and SUVs are to follow in the next couple of years. 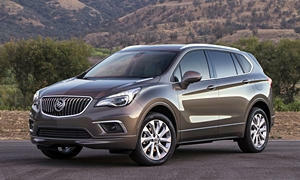 The near Luxury brand of Buick has generally been GMs most reliable brand for a number of years now. They are a little lower in quality than Lexus and about the same as Genesis. The older models are quite reliable - think Encore, Envision, Cascada. The newer models like the LaCrosse are working their problems out and should be better soon (Regal is brand new and maybe it quality will be good at first, but have to be careful on first year models from anyone). Best of all, Buick focuses on quiet cars and smooth rides although the new Regal is more of a performance car than the others - so it does focus on the things you are interested in. Cadillac mostly has electrical issues and the CUE system which is standard on all cars rub people the wrong way. I have test driven these cars and don't have a problem with it, but many do. Cadillacs are as good or can handle better than BMWs these days, but the problems they have might give you pause. Best of luck. I have a Saab 9-3 which is a near luxury car from GM that is 12 years old (2006) with 168,000 so they can build good cars. Problem is, Buick seems to be the division that has the quality down now while Cadillac still struggles with it. When I replace that car in a few years I will look at Lexus, Genesis, Audi, and Buick if the reliablity trends stay the way they are going. About $13,000 less than a NX 300 comparably equipped. New 2017 Buick Envision Premium I for sale at Heritage Chevrolet Buick Owings Mills in Owings Mills, MD for $32,779. View now on Cars.com. 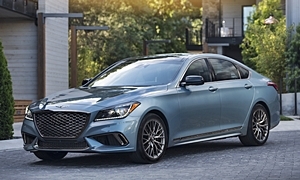 The Genesis G80 is really the perfect car for you. I am blown away every time I sit in one at how nice it is. Buying a Genesis used is the best idea since they depreciate quickly. I would recommend a Lexus, but they are too expensive. The Buick LaCrosse has a jerky transmission that owners complain about, but otherwise it is a good choice. 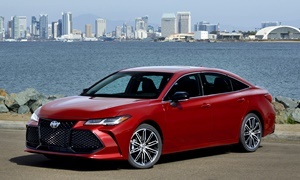 The Toyota Avalon is my second suggestion because they have the reliability of a Lexus, but you don't pay for the badge. 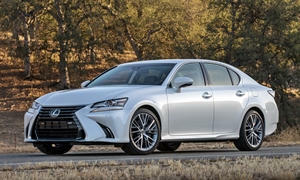 It is the same car as the Lexus ES without a few features such as a heated steering wheel. The 2019 Avalon is going on sale soon, so you could get a good deal on a 2018 Avalon or wait for the new one. The Avalon has a buttery smooth ride and a quiet interior. It is available in a hybrid that gets over 40 MPG. New model year cars usually have more problems, as is the case with the LaCrosse. Looking to trade in your vehicle? Get an estimate of how much it's worth. TrueDelta is not affiliated with any car manufacturer or their trademarks.